This class for newborn to precrawling babies and their grownup(s) contains dozens of yoga-inspired movements, postures, songs, rhymes and activities designed to support baby’s development. Each class is filled with calming, nurturing ways to enhance bonding, soothe the inevitable cranky moments, and improve baby’s sleep. Babies participate while on their backs, tummies, or held in loving arms. For grownups, this class is a special opportunity to meet other parents and caregivers, get support, and learn about baby’s emerging personality. 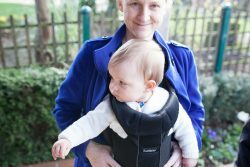 Grownups will also get to do a bit of postpartum-appropriate yoga themselves, including strength- and flexibility-building postures, breathing exercises, and relaxation techniques to address common physical complaints and mental/emotional stressors during the new-parent period. Most appropriate from 6-weeks until baby is mobile. Moms, dads, grandparents or other caregivers welcome. No previous yoga experience necessary; be prepared/dressed for movement. Registration opens April 28. Late registration may be possible for the first three weeks of the series. Fees automatically prorate. Any of baby’s favorite grownups are welcome in this class – mom, dad, grandparent, nanny . . . and the same adult need not attend each time. 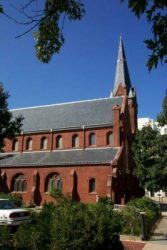 Registration is for one adult-baby on a weekly basis, but occasional visitors are welcome to attend as well. Still not sure if Baby Yoga & Play is right for you? That’s why we have a no-risk registration policy. If you attend your first class and decide it’s not a good fit, we make it easy to drop a class series. Read all of our class policies and FAQs. 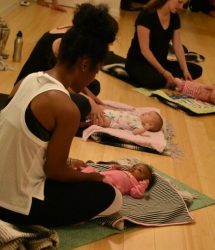 Baby Yoga & Play classes do use yoga mats, but most venues have enough to lend if you’d rather not carry one. Please bring a baby blanket to cover our mats/blankets and a small toy to use during class. Please wear comfortable, stretchy clothes. While this is a movement class, it is not what most would describe as a workout, so full yoga/exercise attire is not necessary. Wear clothing that will allow you to sit on the floor and move around easily (jeans are typically not ideal). Strollers can be left in the lobby downstairs or brought up and stored outside of the studio door. Please remove shoes before entering the dance studio. Tuesday early childhood classes are held in the 2nd floor dance studio. 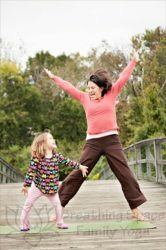 Jennifer Mueller has been teaching yoga for children and families in Washington DC since 2008. Jen is a Yoga Alliance® Experienced Registered Yoga Teacher (E-RTY 200) and Registered Children’s Yoga Teacher (RCTY) as well as a Certified Educator of Infant Massage, and an International Board Certified Lactation Consultant (IBCLC). Jen teaches Breathing Space Baby Yoga & Play classes, Tot, Toddler and Little Families Yoga, afterschool classes, and directs day-off and summer camps . . . in addition to a bunch of behind the scenes stuff to keep it all running.